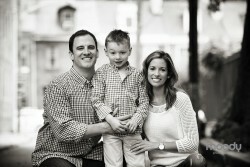 Jack & Claire, Conshohocken family session. I had a fun filled morning with Jack and Claire a few weeks ago. Claire was very into daddy that morning and Jack was more than eager to share his legos or I should say show me his legos. We did all the things they would normally do on a Sunday morning. We played inside, went outside played with bubbles and then off to the park to swing and run around. Jack is getting strong pedaling his big wheel around the neighborhood, though does get a little help from dad on the hills. We had a fun morning, thank you guys for having me over! Jack & Claire from JoyMoody on Vimeo. Cassie & Doug it was such a pleasure to document your day! Linette and I had a fantastic time with you. I’ve known Doug’s Parents for a long time, I worked with his dad my senior year in college and directly after. I had always heard tales of Doug from his dad Bruce. They rebuilt a VW bug together and Doug drove it all through high school. As any parent does and should they always bragged about Doug and his music endeavors at school and how well he was doing with his band. Needless to say I already knew Doug before I even met him. Last year when they came to see me for the first time I was taken aback by this tall man with dreadlocks with a strikingly beautiful Cassie on his arm. Cassie is a tough chick, she works at various prisons taking care of inmates medical needs, yeah not your typical job but she loves it. It was love at first sight when the met at Starbucks, where Doug worked through college. They share a love of a good espresso to this day! We had lots of laughs and shared stories that first day we met. It was an honor that they wanted me there on their wedding day. I’ll stop yammering on and let you get to the pictures. 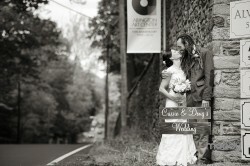 Venue: Abington Art Center, gorgeous place! I always love working here. Caterer: Joshua’s Catering The food was all vegan, aside from some butter and cheese options.. And it was all delicious. Cupcakes: Passion Flour Cupcakery, a friend of the couple as well. Amazing cupcakes. DJ: Lovesick, Adam Levy, this was my first time working with these guys and they are fantastic! Love their approach. Second Photographer: Linette Kielinski, a dear friend and we always enjoy working together!! Thank you for contributing some of these awesome images! The music in the slideshow is compliments of Doug, he wrote this song “You became my Dawn” for Cassie. She walked down the aisle to it. You can check out more of his music here. Cassie & Doug from JoyMoody on Vimeo. Julie and Jamie are getting married this fall down the shore. We wanted to make sure to include Jamie’s son Bryce in the shoot, he is an energetic little guy and is mastering the monkey bars! They will be moving out of the city soon, so we made sure to hit some of their favorite spots near their neighborhood. We had a gorgeous day! It was great getting to know you guys, see you again this fall.